The Boston Bruins-MeiGray Group Game-Worn Jersey Authentication Program is proud to offer fans and collectors across the globe the opportunity to own a piece of history...a helmet worn by #52 Sean Kuraly of the Boston Bruins during the 2017-18 NHL season. 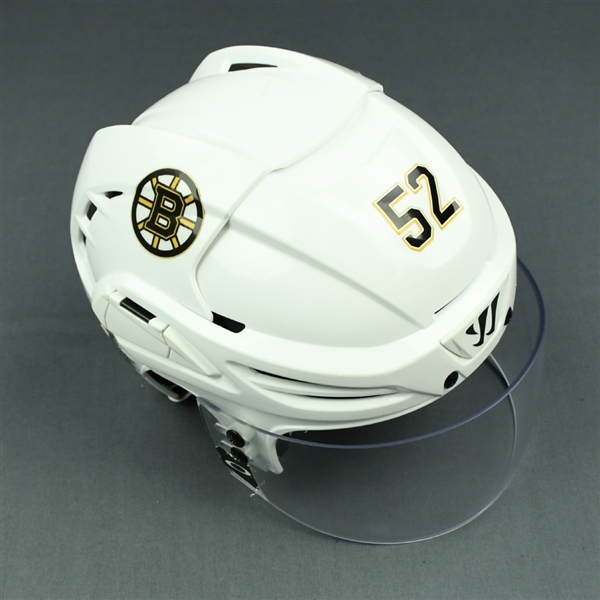 Sean Kuraly wore this White, Warrior Helmet w/ Oakley Shield during the 2017-18 NHL regular season and Stanley Cup Playoffs. 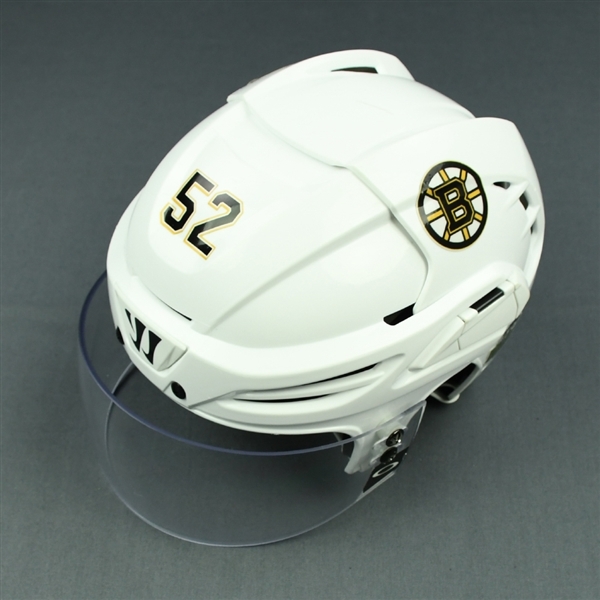 This helmet includes the Humboldt Broncos and 2018 Stanley Cup Playoffs decals. A massive outpouring of support followed the tragedy that struck the small farming community of Humboldt, Saskatchewan on April 6, 2018. 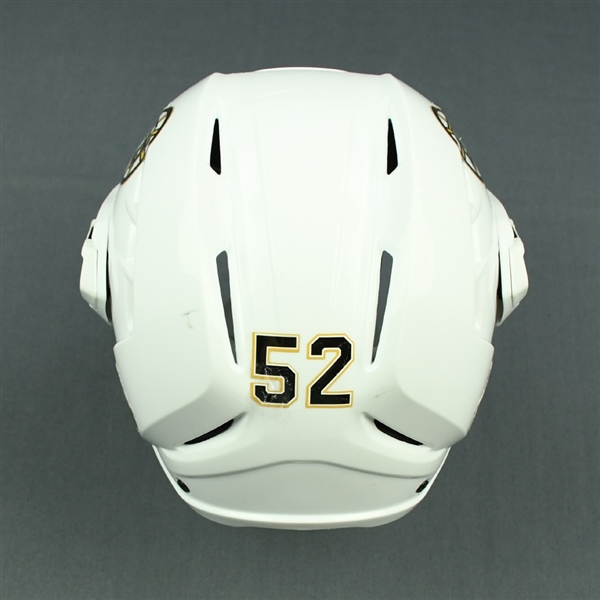 Many NHL teams made major tangible and symbolic contributions in honor of the deceased and injured members of the Saskatchewan Junior Hockey League's Humboldt Broncos resulting from an automotive accident involving the team bus and a semi-trailer truck. One of the symbolic tributes was the application of stickers to the helmets of several NHL teams, including the Boston Bruins. Homages to the Humboldt Broncos were a mainstay from the end of the 2017-18 season through the 2018 Stanley Cup Playoffs, and few will forget those lost in the crash in the near future. This helmet is a Size Small and is registered into the Boston Bruins-MeiGray Game-Worn Jersey Authentication Program as number MGA12832.